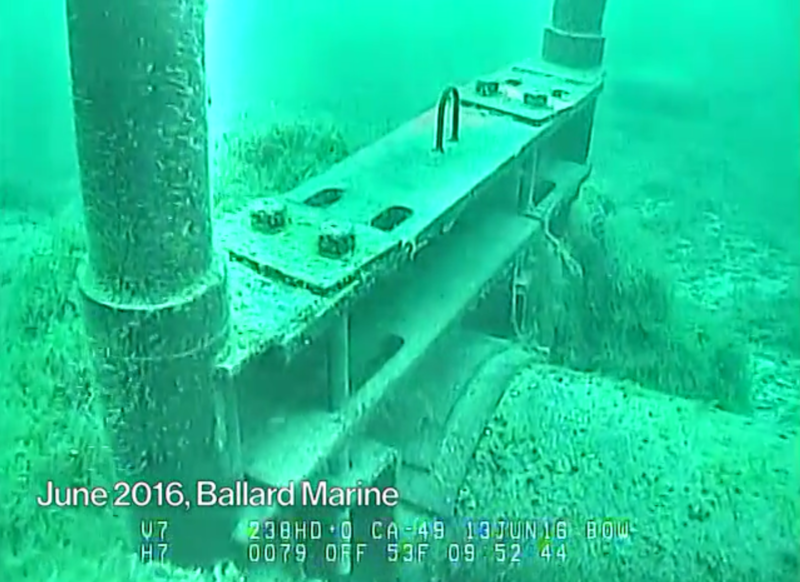 Experts weigh in on risks of a Line 5 oil spill in the Great Lakes while waiting for Enbridge to release its report on Friday. Enbridge Energy will release a report on their controversial Line 5 pipeline this Friday at the request of Governor Snyder. Enbridge is expected to recommend replacing the existing Line 5 with tunneled pipelines, much to the dismay of experts and attorneys across the state. 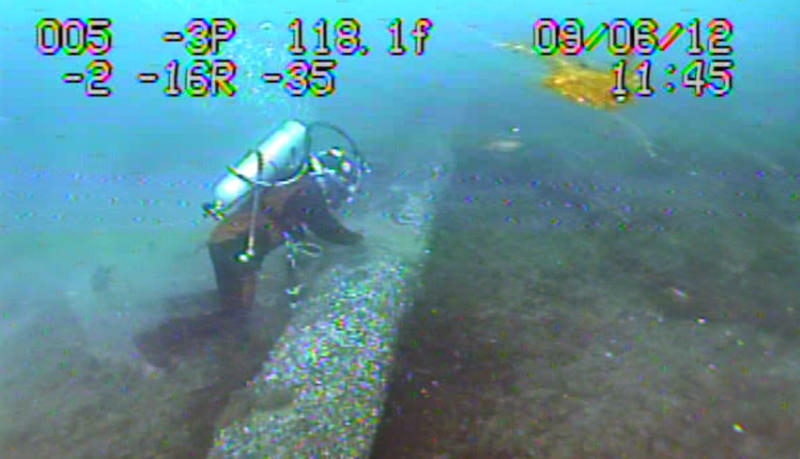 The 65-year-old pipeline runs beneath the Mackinac Straits. It transports natural gas liquids to refineries in the Upper Peninsula and Canada, where the gas is turned into propane. Public opposition to the line has been building since another Michigan pipeline spilled into the Kalamazoo River in 2010. Concern escalated in April of this year when the anchor of a ship made three large dents in the pipeline. Snyder and Enbridge have discussed replacing the pipeline with a tunnel that would sit below the lakebed in the past, and earlier this month, Snyder said he hopes to eventually find an alternative to Line 5. But activists are urging him to just get rid of the Line 5 system entirely. Liz Kirkwood is the Executive Director of For Love of Water, a Great Lakes protection organization. During a conference call organized in anticipation of Enbridge’s report, Kirkwood said talk of building tunnels is just a distraction from the threat of what could end up being a multi-billion-dollar oil spill in the Great Lakes. Research done on the topic has determined Line 5 oil spill could mean environmental devastation for the Great Lakes, which contain 85 percent of all the freshwater in North America. It could also bring financial distress for the state— a study completed last month says a spill from Line 5 could cost Michigan over $6 billion in damages. Mike Ripley, the environmental coordinator for the Chippewa Ottawa Resource Authority, was also on the conference call. He says a Line 5 spill could even have cultural impacts for Michiganders. Ripley and other environmentalists worry a tunnel would not effectively prevent a spill. Even if it does, construction could disrupt the tourism industry for at least 27 months and damage the environment around the Straits. Enbridge will not comment until their report is released on Friday. Editor's note: Enbridge Energy is a financial sponsor of Michigan Radio. 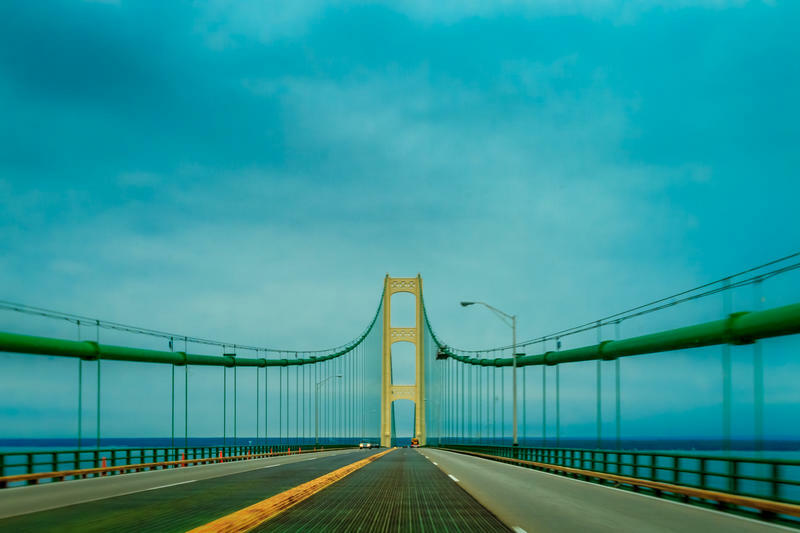 Governor Rick Snyder wants an oil and gas pipeline that runs beneath the Straits of Mackinac to eventually be de-commissioned. The mist-shrouded straits served as a backdrop as the governor answered questions on a variety of topics. When asked about Enbridge Energy’s Line 5, he said the environmental risks are too great for the pipeline to remain where it’s been for the past 60 years. A report on Enbridge Energy's Line 5 pipeline titled “Canadian Profits, Michigan Risk” was released by Groundwork Center for Resilient Communities Wednesday morning. UPDATED 5/25/18 at 2:13 pm. A new poll by Lansing-based EPIC-MRA poll found 54% of Michigan voters want the Line 5 oil pipeline in the Straits of Mackinac to be shut down. It also found that 87% of voters said they are concerned that the 65-year-old pipeline could have oil spill in Northern Michigan, while 64% said they are "very concerned." 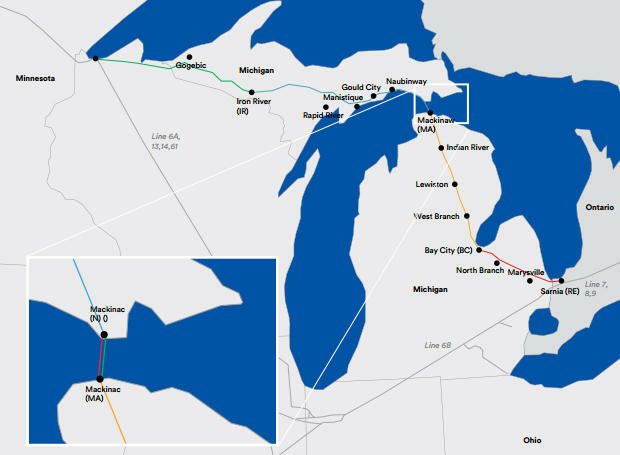 Enbridge Energy, which is a corporate sponsor of Michigan Radio, owns and maintains Line 5. Governor Rick Snyder has signed a temporary order that bans ships from dropping anchor in the Straits of Mackinac. That’s following an incident in April when a ship dragged an anchor across the bottom of the straits, causing a mineral oil spill and damage to the Line 5 fuel pipeline. “Maritime maps have been marked for some time with the Straits of Mackinac as an advisory to not drop your anchor, but there’s been no rule or regulation technically prohibiting it, and so this rule now prohibits that,” said Snyder Communications Director Ari Adler.